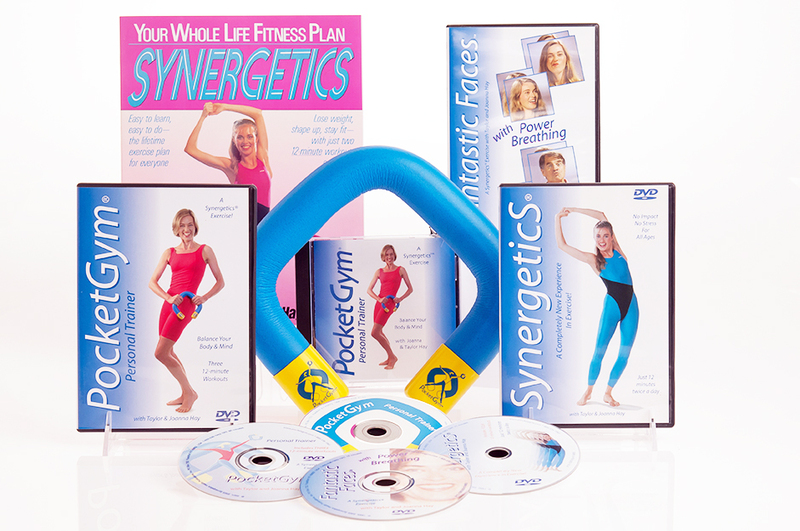 The Pocket Gym Kit contains one PocketGym, one 60-minute DVD with three 12-minute workouts, plus a 77-minute CD that has three 12-minute audio workouts and many valuable tips. Most of the DVD was filmed on Taylor and Joanna's nature-preserve, Hayven, thirty minutes outside of Frankfort, Kentucky. The PocketGym Kit is also included in The Works. Streaming videos are an add-on option. Shipping by Priority Mail is free in the U.S.A. Postage rates to other countries are in the Shopping Cart. © 2019 Synergetics. All rights reserved.